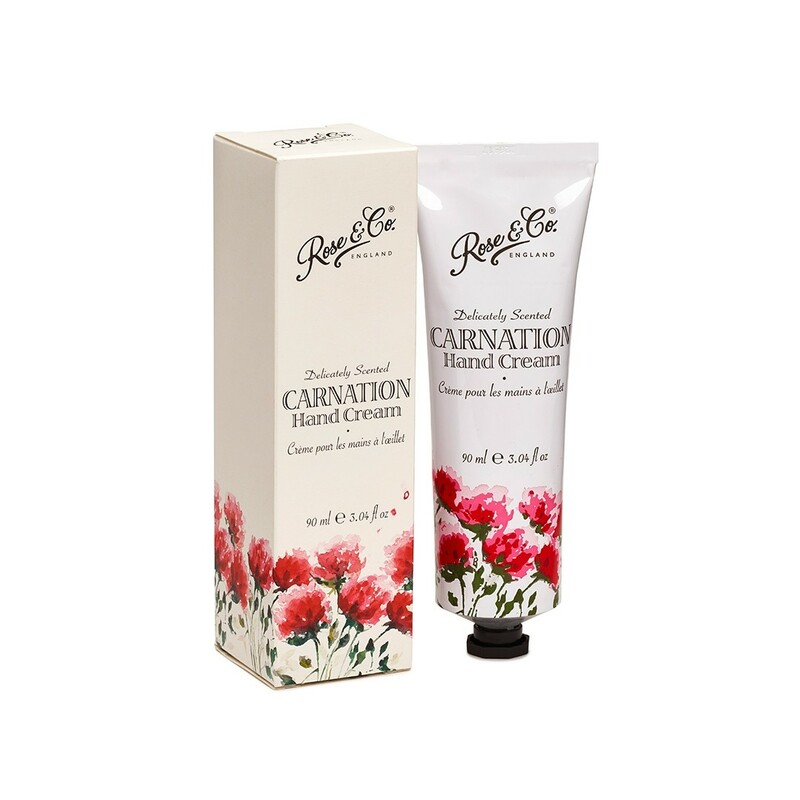 Carnation is an iconic and traditional fragrance, full of spicy floral notes with touches of pepper and clove. 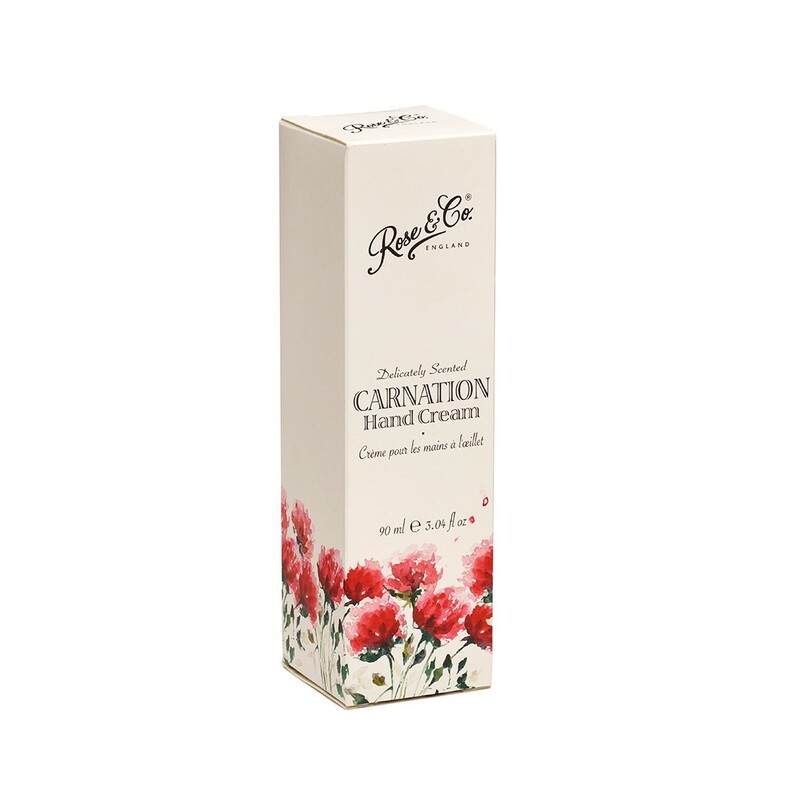 It is said that our beloved Queen's favourite fragrance is Carnation. 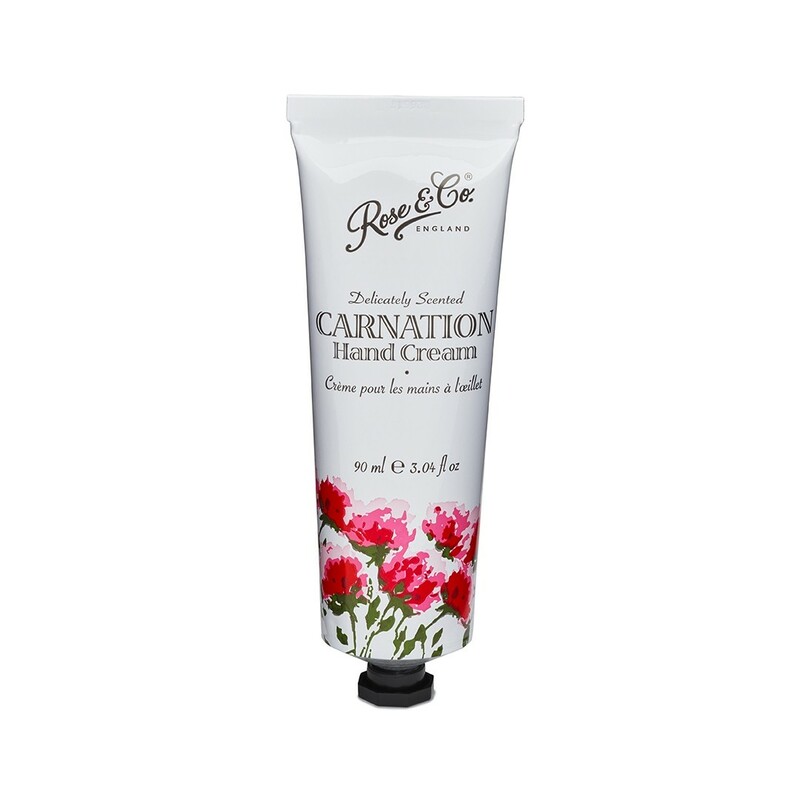 We have created the most wonderful hand cream formulation, bursting with goodness for your skin. From Vitamin Pro-V5 and shea butters for deep nourishing to Vitamin E that is a great antioxidant to help protect against damage. Aqua, Cetearyl Alcohol, Cetyl Alcohol, PEG-100 Stearate, Glyceryl Stearate, Glycerin, Cyclopentasiloxane, Isopropyl Myristate, Parfum, Phenoxyethanol, Ceteareth-20, Propylene Glycol, Aluminum Starch Octenylsuccinate, Xanthan Gum, Butyrospermum Parkii, Carbomer, Panthenol, Tocopheryl Acetate, PEG 40 Hydrogenated Castor Oil, Ethylhexylglycerin, Dipropylene Glycol, Triethanolamine, Amyl Cinnamal, Benzyl Salicylate, Coumarin, Eugenol, Geraniol, Hydroxycitronellal, Hydroxyisohexyl 3-Cyclohexene Carboxaldehyde, Isoeugenol, Benzyl Benzoate, Citronellol, Hexyl Cinnamal, Butylphenyl Methylpropional, Limonene, Linalool, Alpha-Isomethyl Ionone.